Readers Question: What is the difference between a recession and deflation? A recession is a period of negative economic growth. 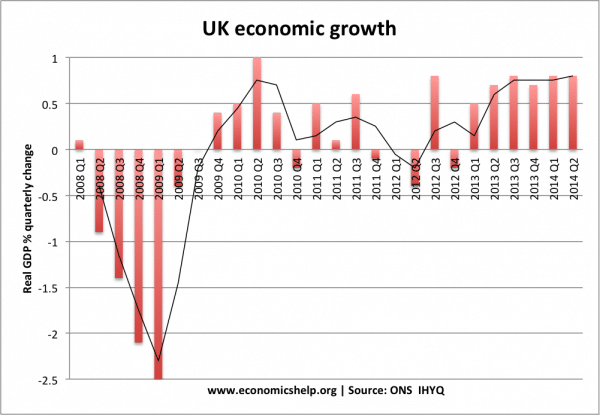 The official definition is a decline in output (Real GDP) for two consecutive quarters. UK economy entering recession from Q2 2008 until Q4 2009. Usually, in a recession, you will get a fall in the inflation rate. 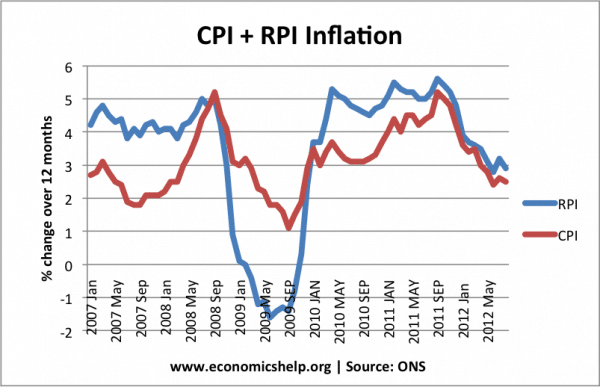 From 2010, there is a fall in the rate of inflation. Prices are still rising – but they are rising at a slower rate. 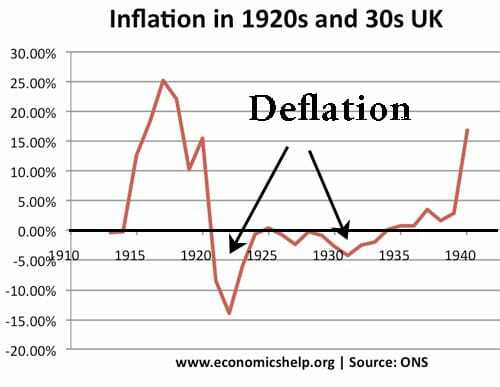 Deflation is when we get a negative inflation rate i.e. falling prices. 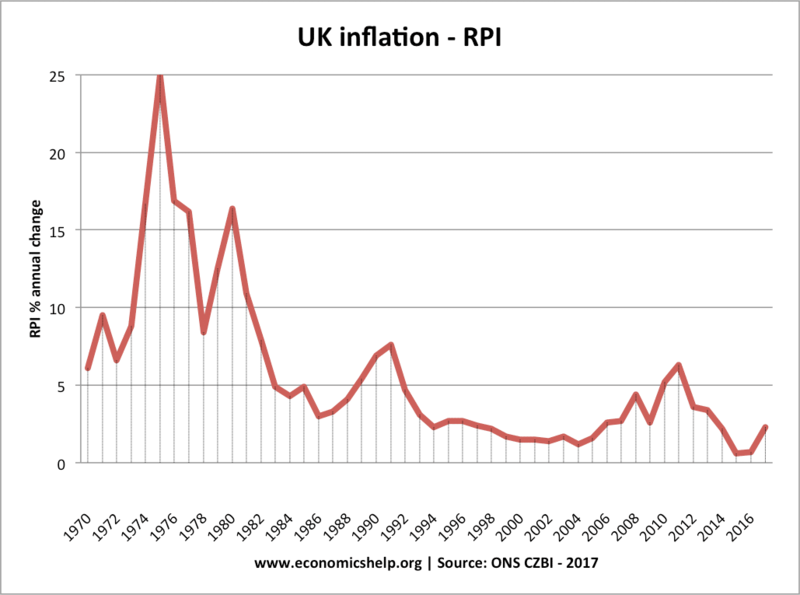 Since the second world war, recessions have generally not led to deflation – just a lower inflation rate. The last two recessions were caused by attempts to reduce a high inflation rate. 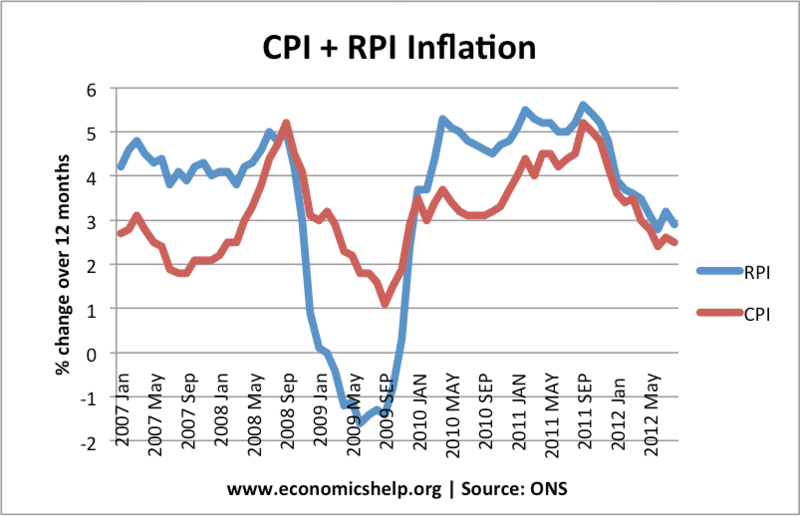 For a short-time in May 2008, the RPI (which includes the cost of interest payments) became negative – deflation. But, this deflation did not last very long. ← Is zero inflation a good thing? I have a slight quibble with the above definition of deflation. Any definition should include the point that the word “deflationary” does not necessarily apply to a scenario where prices are falling. 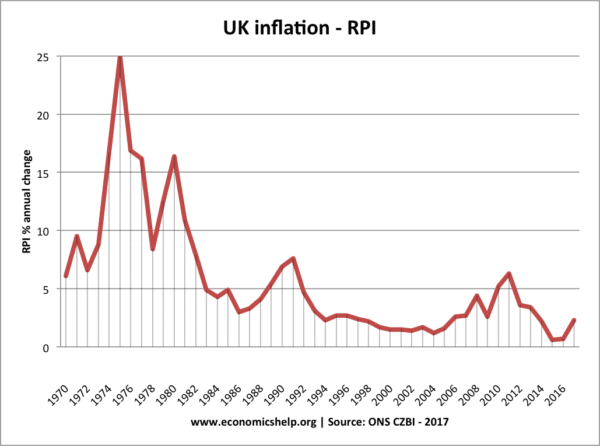 “Deflationary” is often used to refer to a policy or event which dampens or reduces economic activity (but not necessarily to the extent to causing prices to fall).